It’s been a whole week since I last blogged. 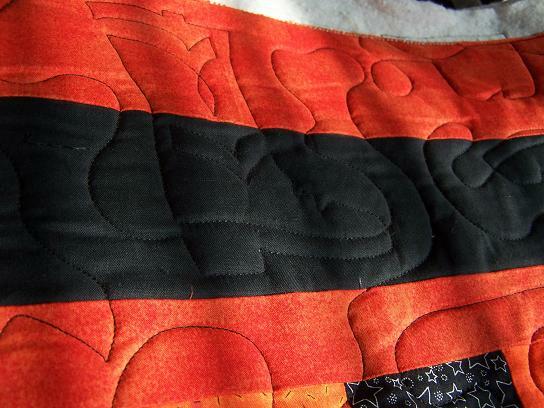 But between day job work and the quilting work that has suddenly come in, I haven’t had time to blog. I haven’t touched any of my personal projects since my last report. I finished quilting the interior of the quilt I previously blogged about, my friend’s quilt that was already hand quilted with SID. I also finished frogging the one border I attempted to quilt. My friend is so happy with the quilting, she has decided she will remove the binding, so I can quilt the borders. I will take pics of it when it’s completely finished. I quilted this lap quilt yesterday, and have another almost identical to it, loaded up on the machine. This is one that was pieced by my customer’s 83 yr old father. She is going to finish them up and give them as gifts, to other family members. 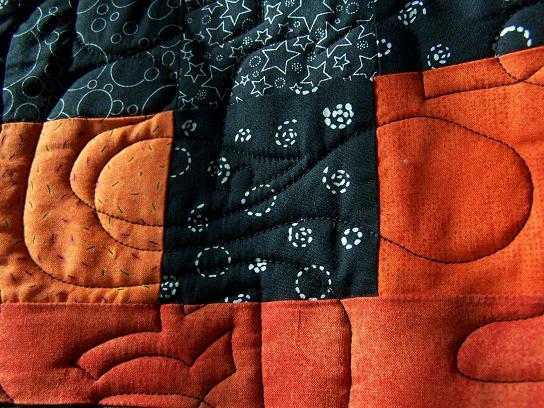 The quilts certainly have some “issues”, but the end result is pretty good. 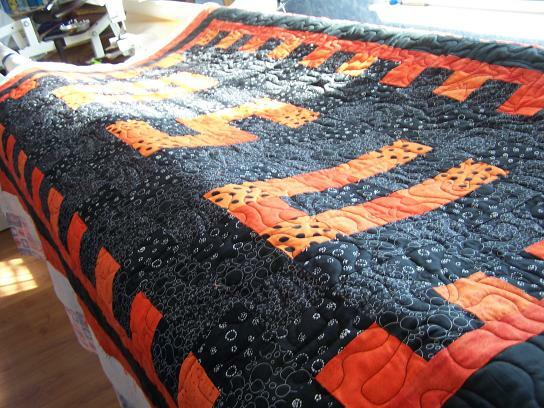 I quilted it with Dave Hudson panto that has cowboy boots & hats, since Oklahoma State University is the “Cowboys”. I also started working on a commissioned full-size log cabin. I began piecing those blocks today, while I’m watching the NASCAR race. Then I have a queen panto, and a king custom job lined up. So if you don’t hear much out of me for a little bit, that’s why. Oh, and since it’s my birthday today, my gift to me is that I’m skipping this week’s Sunday weigh in…lol. Partly because in addition to all the eating on my annivesary, then birthday festivities, I found these at Walmart Friday. 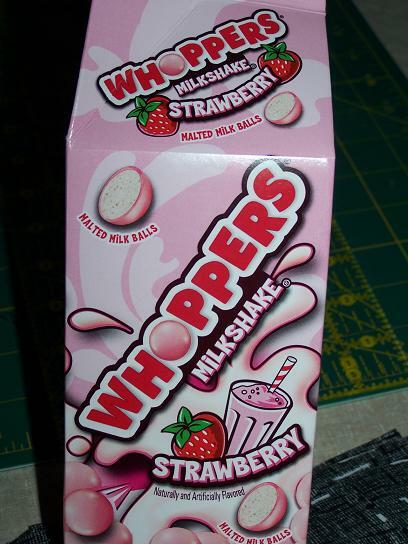 I love regular Whoppers, but don’t eat them much, due to too much chocolate sometimes triggering a migraine for me. These stawberry ones ain’t bad! I’m likin’ ’em!